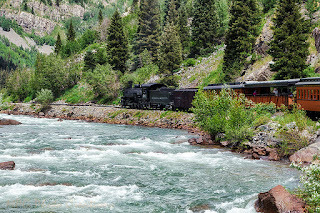 This image was taken while I was riding the train as we headed around a curve of the Animas River headed to Silverton, Colorado. 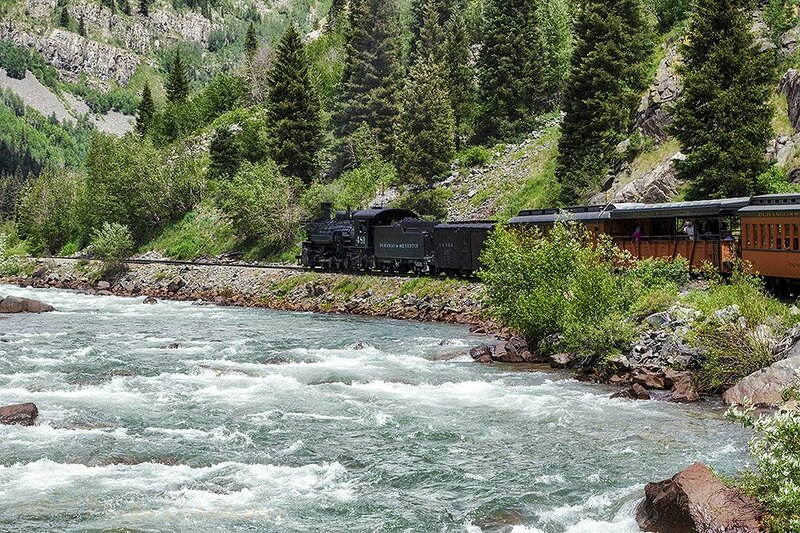 This is the Durango & Silverton Railway which follows the river most of the trip. The water looks so fresh and clear and is very popular for Kayaking.